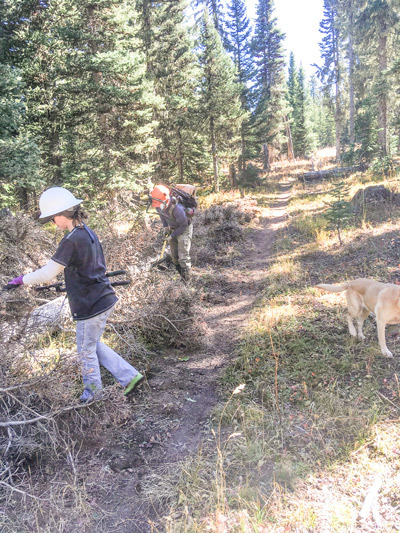 Here is a summary of our October 7, 2017 Salt Creek Trail Volunteer Work Day. 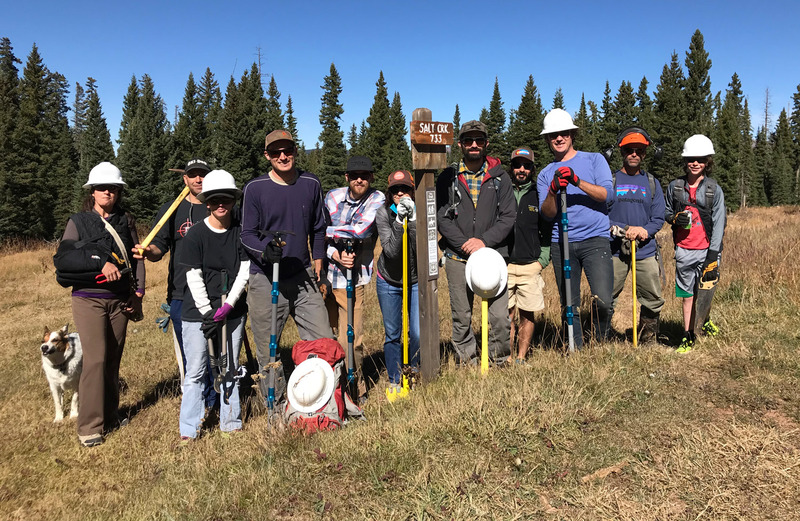 12 volunteers from Rico, Telluride and Dolores participated in our October 7, 2017 Salt Creek Trail Volunteer Work Day. The Salt Creek Trail lies between the Colorado Trail and Ryman Creek just a few miles south of Rico, Colorado. Overall the day was a success and all work was completed safely. Minor dirt work such as smoothing out bumps and leveling out the trail where the wall above the trail had eroded into the trail. 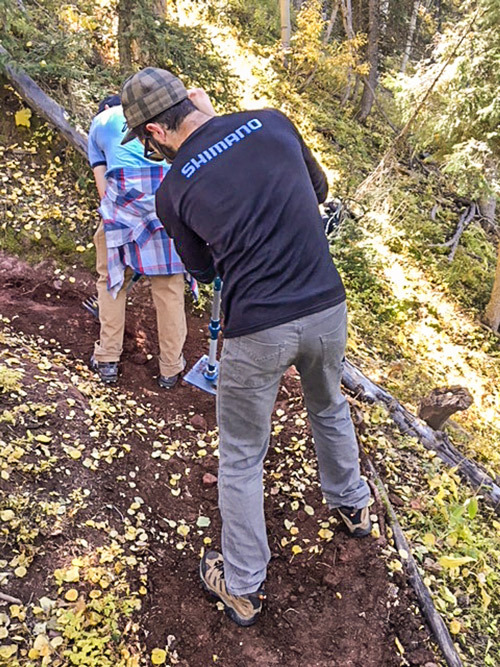 This was just the first of many trail work days to come. We gratefully appreciate the hard work and commitment of all those who participated, and we also learned a great deal. 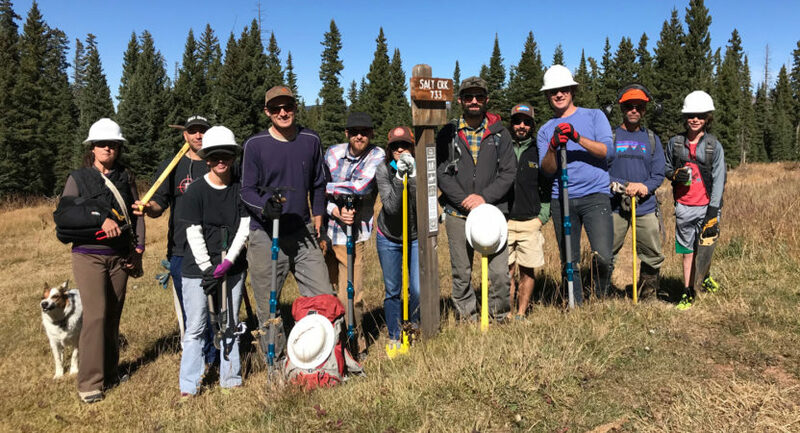 Please stay tuned, as we will be schedule more volunteer trail work days for 2018! Pruning back bushes on Salt Creek trail. 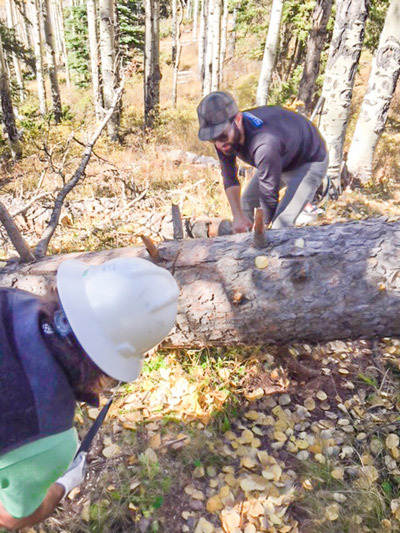 Hand-cutting a log blocking the trail.